Do you love short-form improv games? Wish you had more chances to get on stage and play? Then join us EVERY OTHER WEDNESDAY for the Wham! Bam! Improv Jam! where we pull names from a bucket to come on stage and play! Think “Who’s Line Is It Anyway” but the audience gets to perform. 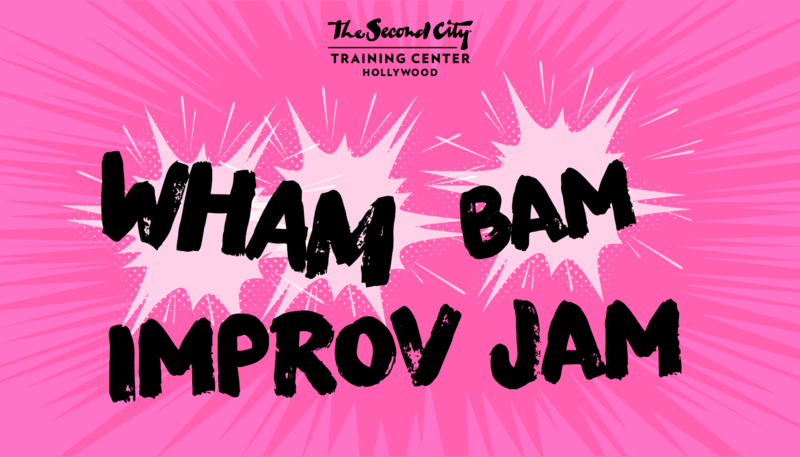 Whether you’re new to improv or have been doing it for years, this is a great chance to connect and play with your fellow improvisers in a supportive environment. Hosted by Arielle Zadok, Lex Agolsove and is FREE!